This is not our very first topic on both Google webmaster tools as well as Google Analytics. If you were following Blog Time Now (RSS | Facebook | Google plus), then you might have probably noticed our useful articles relating webmaster tools and Google Analytics. If not, then here is how to use Google webmaster tools and here is the topic about Google Analytics. Recently a few people raised this question, asking us about the difference between Google webmaster tools vs Google analytics and mainly its significance. Google has 100s of tools, products and services and each were focused on people with various interests. But, a tool that is mainly focused on SEO and adding value to both bloggers and site owners is the webmaster tools and analytics. For folks who are not clear, we decided to make a post differentiating Google webmaster tools and Google analytics and so here we are. Both Google webmaster tools and Google analytics are not the same, it has notable difference which you can figure out easily. In short, Google webmaster tools provide a comprehensive report on your website pages. By knowing it, you can possibly optimize and improve your website visibility in Google search. On the other hand Google Analytics generates a complete traffic statistics to your website. 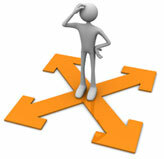 It is the tool used by webmaster to only analyze the traffic flow to their website. 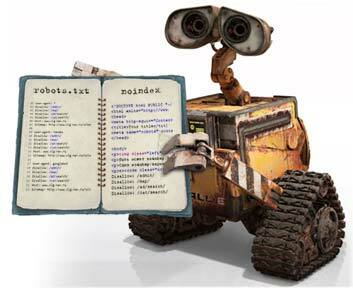 Webmaster tools reveals how your site is viewed in Google search that is from robots point of view. 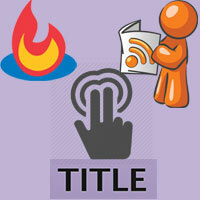 Here comes the brief explanation to the following elements in webmaster tools. Search Appearance – This is where you can see your pages that appear differently in search results (which obeys rich snippet – Google Searchology). You can learn, test and influence all search elements to your webpages such as authorship markup, breadcrumbs, product /event rich snippet, site links and more. Search Traffic – Under search traffic you will see search queries, which shows the list of top keywords for your site based on impression and clicks. Links to your site is where you see the number of external pages linking to your pages. Internal link shows all your websites internal links. Crawl – This is where robots part comes in. Here is what you will get the information to all your pages that have been crawled (crawl status) and unable to crawl (crawl errors). 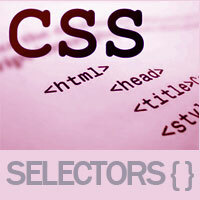 You can submit your sitemap to better crawl and categorize your site. Fetch as Google is a tool used to submit recently changed pages to Google. 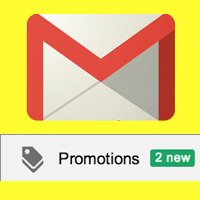 You will get only 500 limited fetches, so you can submit your URL to Google. Hope from the above statement you have got the clear idea on what Google webmaster tools is. Now we will see about Google Analytics and how different it is from Google webmaster tools. Webmaster tool gives you data from robots point of view, whereas Google Analytics shows a picture from visitors side. It provides you with complete traffic data and traffic sources such as total visits, page views and bounce rate etc. Google Analytics gives you the following information. Google Analytics shows real time traffic to your site which shows the current number of people viewing your pages. To access Google Analytics you have to add your site. 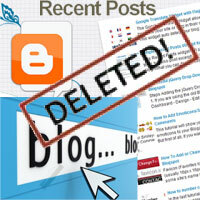 Learn how to add Google Analytics to Blogger blog. You can get report on number of visitors, page views, pages per visit, avg visit duration for each hour, day, week and month. In real time reports you will see the number of active peoples, active locations, active pages (URLs) and page views per minute. In traffic sources you will see the external websites that referred visitors to your web pages. Also you will see the percentage of new visitors, returning visitors, mobile visitors, top browsers and visitors flow. Additionally you can integrate other Google products like adwords, by integrating with Analytics you can track and manage your campaign. Hope this is clear enough to understand about Google Analytics. Finally again a shorter and sweeter way to narrate the difference between Google webmaster tools and Google Analytics is – Webmaster tools reports you on how bots and spiders (search engine) deals your site and Google Analytics reports on how users interact with your site. What we mentioned above is very less. Both webmaster tools and Google Analytics offers you with worthy information and valuable features. Its free and you can take full advantage of both these tools. For more information visit Google webmaster tools | Google Analytics. 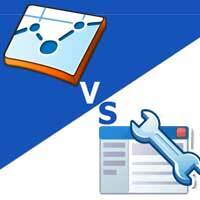 Hope this article helped you with Google webmaster tools vs Google Analytics. Now you can easily point out the difference between Google webmaster tools and Google Analytics. Share it and if you have any queries regarding webmaster tools and analytics, then please mention in comments below. Subscribe to our RSS feeds to get more updates.